Amber Sea Restaurant invites to have tasty lunch or dinner, enjoying our chief culinary masterpiecies in harmony with Nature! Fresh, tasty and healthy – these three pillars are the philosophy of Amber Sea Hotel restaurant, because food, it is not only famine satisfaction, but also a component of health and strength restoration. The easy breeze and sounds of a pine forest not only will give special taste to viands, but also will strengthen your health. You can spend hot summer evenings behind a little open-air table, and in cloudy day be warmed by a comforting atmosphere of our hotel. Our dance floor will make your evening even more romantic and cheerful. From time to time restaurant conducts evenings of tasting, and in the summer barbecue in the hotel garden. And certainly you can always rent restaurant for a personal banquet or reception. The restaurant is opened for everybody, therefore, if you are in Jurmala, come and appreciate dishes which visitors of Amber Sea Hotel enjoy every day! Restaurant White Dune on the 10th floor offers an exquisite European cuisine as well as a gorgeous view of the gulf and Jurmala. 100 seats. Summer terrace overlooking the sea. Parties are catered for up to 500 guests in our catering hall. You are welcome to the 10th floor Restaurant. Mixed drinks are served by the outdoor swimming pool in summer time. Restaurant Caviar Club has deserved to be called "paradise for the real gourmets". It is a favourite and popular place not only because of the refined dishes and elegant interior but also live music and special mood. The atmosphere of the restaurant is also created by the sea and white sandy beach view. The delicate dishes of the European cuisine, exclusive caviar menu and wide range of wines will please even the most demanding expert of culinary art. Virtuosity of the chef in combination with the bouquet of taste and flavor will lead You to the world of gastronomic pleasures. The summer terrace of Caviar Club has its special atmosphere. It is a perfect place for heart-to-heart talks with friends or business partners drinking wine or a cup of coffee, enjoying the changing shades of the sea. 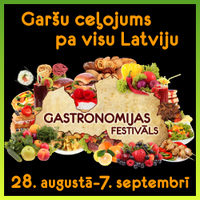 During the summer period You are welcome to try grill dishes, prepared in front of the visitors. The restaurant is perfect for banquets and dinner parties. Professional cooks and staff will take care of all the details to make Your evening at the seashore unforgettable moment of Your life. Restaurant capacity: 100 seats. Summer terrace capacity: 130 seats. Sunny Il Sole restaurant with cosy interior in Mediterranean style and elegant summer terrace with beautiful sea-view, invites You to experience magic of the Italian cuisine and atmosphere! Combining the classical Italian cuisine with modern technologies, we offer traditional, as well as popular Italian dishes and true masterpieces of the culinary art. The only thing remains – to choose appropriate wine, and dinner in the restaurant Il Sole, together with Your family, friends and business partners, will become an unforgettable event of Your life! Restaurant Jūrmala with 280 seats in Hotel Jurmala Spa invites you to spend a relaxing evening in a warm atmosphere togehter with your friends, family or business partners. Restaurant international cuisine menu includes delicious and healthy meals for any taste. For meals taste perfection we offer a wide selection of wines compiled by the Baltic’s awarded sommelier of our restaurant. 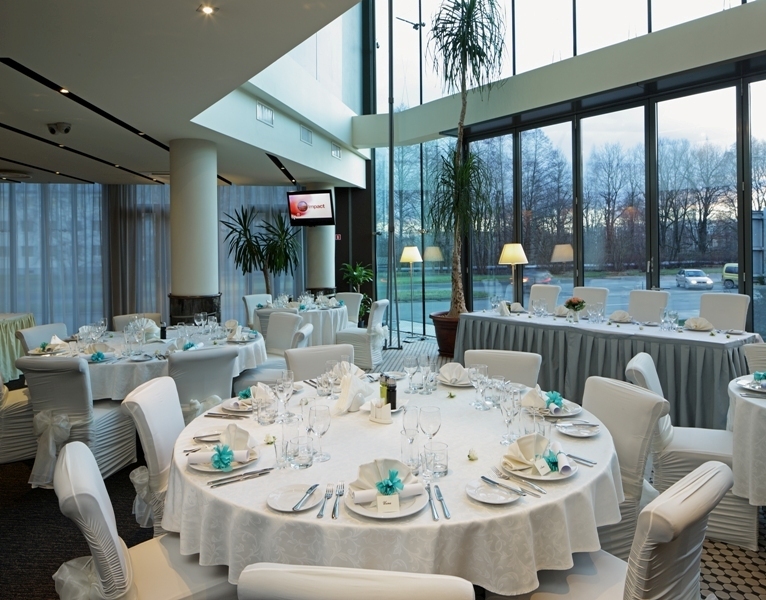 Restaurant „Jurmala” is a perfect place for celebrations and banquets up to 400 guests. During the summer time our terrace restaurant with 100 seats is open from where you can enjoy the view of the most well-known promenade – Jomas Street. Working hours: In summer I–VII: 09:00 - last customer. 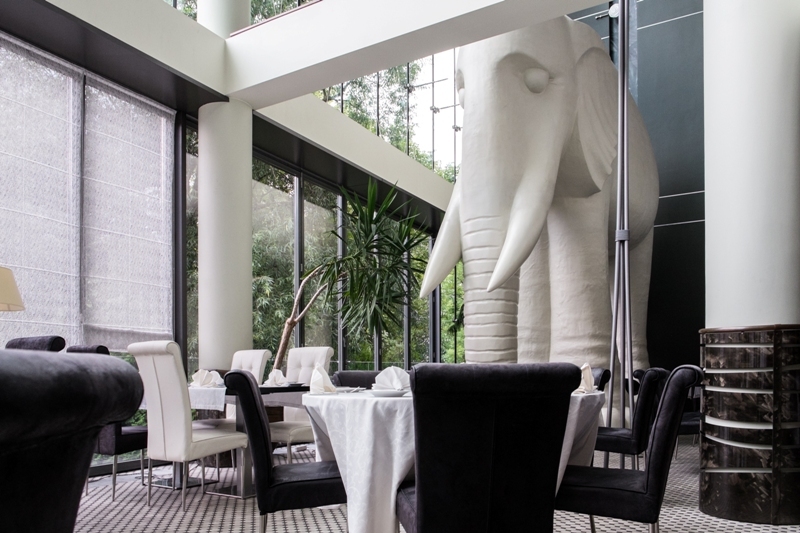 Restaurant and boutique-hotel LightHouse Jurmala is located on the shore of Gulf of Riga. Light snack and side dishes served in italian porcelain plates and with huge variety of wines. All of it surrounds sophisticated, calm decor, candlelight and friendly service. Menu offers a wide variety of mediterranean values, mixed with local homemade products, provided by this region. Aquarium in restaurant hall provides guests with a choise of sturgeon or trout to be taken out in front of them to prepare delicious meal. Juicy meat, seafood, vegetables – with taste of crisp and smoke, prepared on Spanish charcoal grill 'Josper' – brings a new meaning to the word gourmand. All of this can be fulfilled sitting on terrace of LightHouse enjoying gorgeous sunsets. If your dinner or evening walk along the beach was longer then ussual, your always welcome to stay in one of 11 comfy guestrooms with panoramic view of Baltic sea. And with the morning sun, sound of waves it's just immposible to resist a good and strong breakfast at LightHouse Jurmala. Restaurant MaMa has been nominated as the best hotel restaurant in Jurmala and Latvia in years 2010, 2011, 2012 and 2013! Unusual interior – touched by light irony and designed in elegant forms and reserved colours. A mix of the Mediterranean and Baltic cuisine aromas permeates the room. The restaurant offers exquisite breakfasts, brunch and delicious meals for the hotel clients and guests from seasonal menu a la carte. In addition, there is a special menu for dogs and cats. 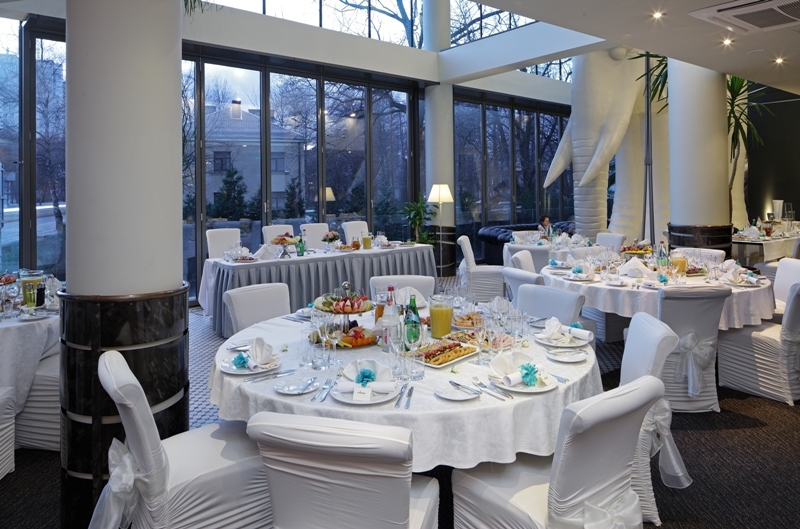 The restaurant will also organize parties, banquets and conferences (up to 40 persons). Small meetings, training and discreet meetings will be suitable for our lounge, which can be isolated by curtains from the rest of the restaurant. Hotels and Restaurants unusual interiors can be used also for different photo sessions and our gift cards will be the best corporate and Christmas presents. We are open by matching the time and menu to all your wishes. other offers Breakfast, brunch, take-away food, weddings, children's parties, allowed the dogs and have their meal card. Restaurant Neptūns is the oldest restaurant in Jurmala, placed in dune zone and Territory of Ķemeri National Park. Only in 50 km distance from Riga you can enjoy sea air, pine soughing and tasty meals with your family or friends. We offer till 50 seating places inside restaurant and over 100 on the terrace. For your convenience kids playground inside and outside as well as big parking place. If you wish private event in small company, tea house till 10 persons at your service where you can grill by yourself or order meal in restaurant. Special banquet menu is available and freshly smoked fishes ordering at least 3 days in advance. Restaurant Se la vie. Each of us sometimes has a desire to have a very special evening absolutely isolated from the daily rush, stress and just to enjoy the time in excuisite and at the same time relaxed atmosphere. Our Chef Uldis Krebs, would be pleased to offer you healthy and delicious meal in accordance with your taste, prepared on grill as well as wide variety of other types of meals of international cuisine. Professional and delicate personnel of our restaurant would kindly advice you to select the wine or other drink best suiting to your meal and preferences, allowing you to discover new dimensions of taste. The wonderful sounds of music in the restaurant and and the picturesque summer terase are creating the magic atmoshpere of harmony and delight. We are kindly offering to our guests to organise gastronomic marathons, gourment evening, corporate and private events. The restaurant can host up to 40 guests. Campaign, happy hour: Special offer "Gourmand journey"! 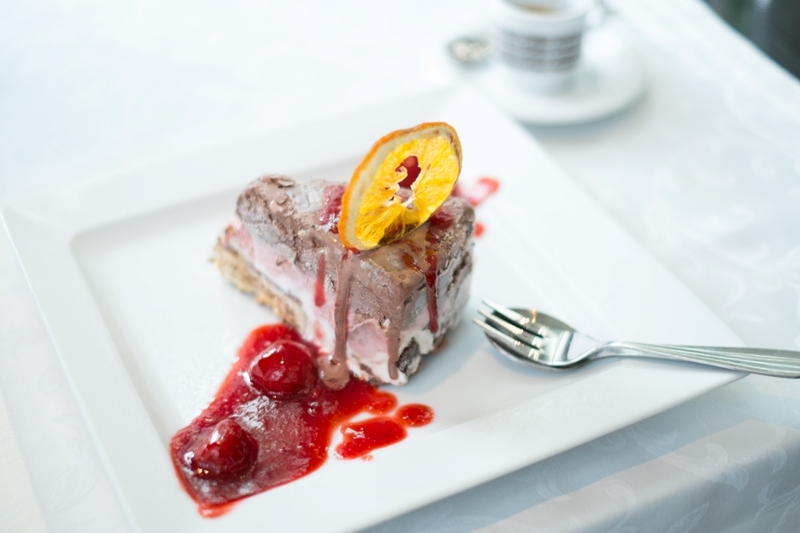 Restaurant Villa Joma is situated in completely renovated historical building in very heart of Jurmala. From its terrace a wonderful view can be enjoyed to the town with architecture particular only to this place. International cuisine offered by high skilled experienced chefs will perfectly suit business lunch, family snack or romantic dinner. Professional restaurant Villa Joma staff will help you organize any type of banquet in a restaurant or other premises. While the hotel bar with fine atmosphere is the most perfect place to enjoy exquisite cocktails. Seaside bar on the 11th floor invites you to spend a wonderful evening and watch the sunset with your friends, family or colleagues, accompanied by music and rhythms. Panoramic view over Jūrmala and the Gulf of Rīga, cocktails and soft drinks makes this place one of the most popular among visitors and local people! Bar is also a suitable place for different events. Restaurant Vairāk Saules. Great, really great choice of food cooked with love! Italian pasta and pizza, rich Tyrolean dishes, a wide range of fish and meat dishes, appetizers, salads and excellent wines! 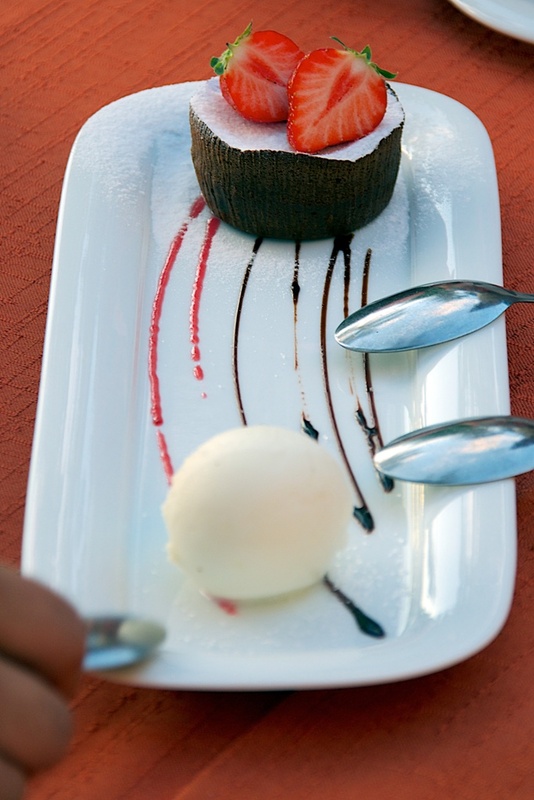 All our homemade desserts will meet everyone's requirements. Your children can enjoy themselves in our well-equipped playing corners while waiting for food. We also have a specially designed children's menu for the kids. And we are looking forward to you whenever you visit us: for a business lunch on weekdays, a romantic candlelight dinner or friendly conversation with a glass of wine.